Last year, writer Nick Spencer shocked Marvel fans across the world with Captain America: Steve Rogers #1. 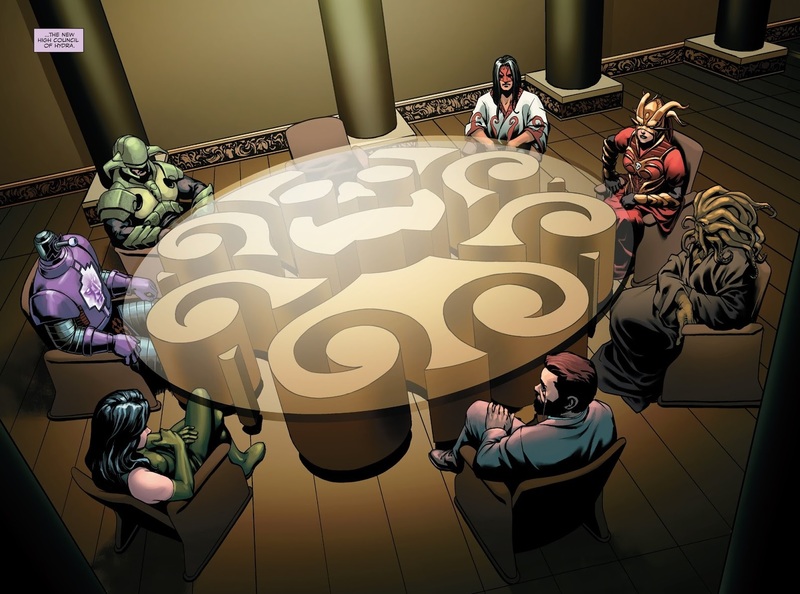 This issue revealed that Steve Rogers – Captain America himself – had become an agent of Hydra. By the second issue, we’d learned just how this had happened; Steve Rogers’s past had been rewritten by Kobik, the living Cosmic Cube. But Captain America: Steve Rogers #12 ended with a bombshell. We were introduced to the present-day version of Elisa Sinclair, the woman who Steve remembers recruiting him to Hydra. 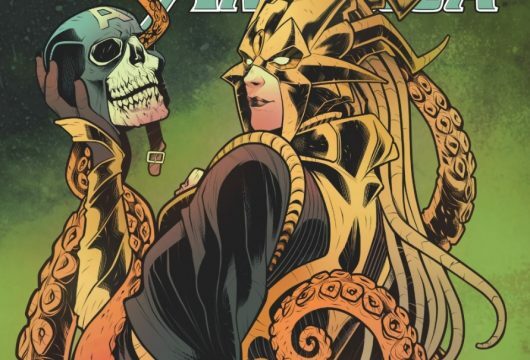 It seems that Kobik did far more than just twist Steve Rogers into an agent of Hydra; she rewrote the past from scratch, and has given us a whole new Madame Hydra. Elisa Sinclair is clearly going to play a major part in this year’s Secret Empire event, so it’s time to focus in on Captain America: Steve Rogers #14 – an issue that reveals Hydra’s true power! First, you have to understand; Kobik is a child. A powerful child, but a child nonetheless, and she was indoctrinated by the Red Skull. He taught her of the glories of Hydra, delighting in the idea that a living Cosmic Cube could serve his ends. To the Red Skull’s delight, he soon learned that Kobik could warp a person’s mind, transforming them into an agent of Hydra. Naturally, he manipulated events to ensure she did just that to his arch-nemesis, Steve Rogers. But there’s a catch. As is so often the case, the Red Skull didn’t stop to work out just what Kobik was doing. Kobik wasn’t rewriting a person’s memory; she was rewriting their reality. So Kobik actually rewrote the past as well as the present; Captain America hadn’t become an agent of Hydra, he’d always been one! In doing so, though, Kobik was tugging on more strands of reality than even the Red Skull would dare to believe. She was writing Hydra farther back into the world’s history than ever before. Kobik has given us the ultimate Madame Hydra, a force older than time itself, able to stand in the presence of the Elder Gods. 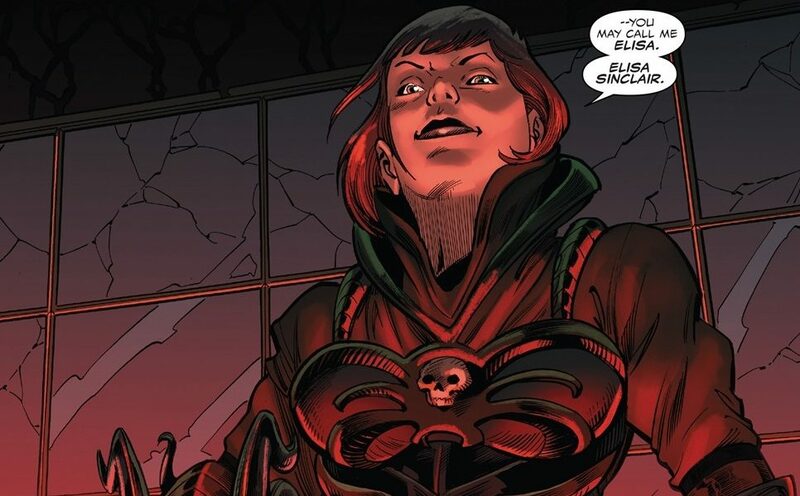 Elisa Sinclair is the embodiment of every childish dream and nightmare the Red Skull planted in Kobik’s mind; she is Hydra ancient and terrible, glorious and powerful. And here’s the thing; I’m not even sure if Kobik herself knows what she’s made. Tug too hard on the strands of reality, and you never know what threads will come loose.